As part of it’s solidarity efforts, the Brazilian Landless Workers Movement (MST, in Portuguese) has joined together with rural grassroots organizations from Venezuela to coordinate a political training school known as the Agricultural Social Production Unit (UPSA) Caquetios, which is located in the central state Lara. Members belonging to the MST celebrated 12-years of collaboration in the area of agro-ecology and political training in this country. "This is a space, which allows social movements, communal councils and other civil society groups the chance to articulate and develop strategies in popular power, which is necessary in order to equip their respective leaders with the tools to carry out the legacy of former President Hugo Chavez," said Luisa Araújo, the coordinator of UPSA. In addition to the political training, the USPA, which were initially launched by the Venezuelan government to provide assistance to small-scale farmers, also provides much needed technical assistance in the area of sustainable farming methods. "This school is also very important in terms of vocational training," Araújo added. In 2017, the school has held five courses and is currently in the midst of its final training course, which includes the participation of 20 representatives from a variety of different social movements including the Bolivar and Zamora Revolutionary Front, the Francisco Miranda Front, the Venezuelan Ecological movement, among others. In Venezuela, the Internationalist Brigade of the MST is named Apolônio de Carvalho, in honor of the Brazilian fighter and intellectual who died in 2005. 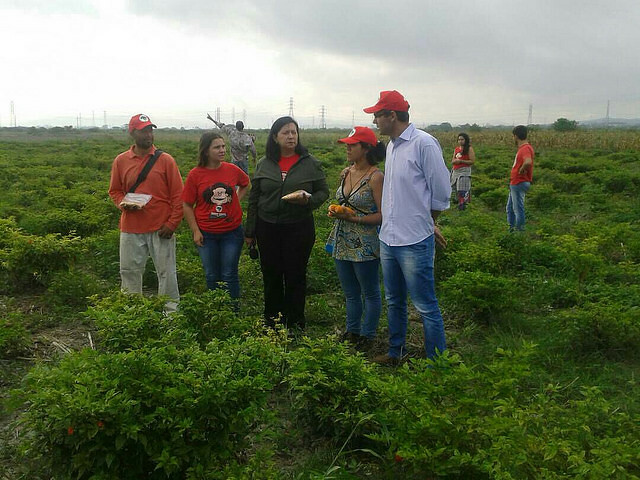 This is also the year in which the first project began in the country, with the Latin American Institute of Agro-ecology Paulo Freire, in the state of Barinas. "During this period, we were involved in various different areas of training including agricultural production. Also, many people from Brazil traveled to Venezuela in order to learn from the political experiences and knowledge of the Venezuelan people, just as the Venezuelans also went to Brazil to learn and share," MST brigade coordinator Edson Bagnara recalled. Lula: “Composed, but outraged, like anyone who's been a victim of injustice"